The Australian Outback might seem lifeless, but under the hot, dry surface, it is actually teeming with life. 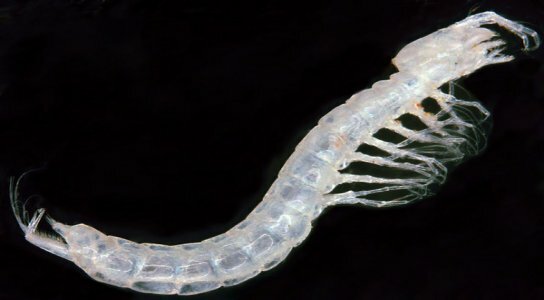 A team of researchers in Australia, looking for invertebrates in small underground cavities, has found over 1,000 new species. They think that there are another 3,500 beneath the topsoil, just waiting to be discovered. They hit the new species jackpot, having found the tiny creatures in almost every hole they’ve looked into and the list includes small crustaceans, spiders, beetles and worms. So how do so many species end up underground in this arid and harsh desert? Well, Australia was once a wetter environment, before it dried out about 15 million years ago. Some of the small invertebrates in aquatic environments all those years ago took refuge in subterranean environments, so today you get a variety of vertebrates of more recent origin on the surface. Other continents, like Africa and South America, are likely to have thousands of undiscovered stygofauna (small animals that live within groundwater systems) as well. In the old days biologists would use physical traits like size, shape and color to identify species out in the field. These days DNA sequencing has helped to speed things up and is also cheaper and easier to look at genetic material to tell species apart; which is why you can still have a massive find like this today. Be the first to comment on "1,000 Hidden Species Found in Australian Outback"